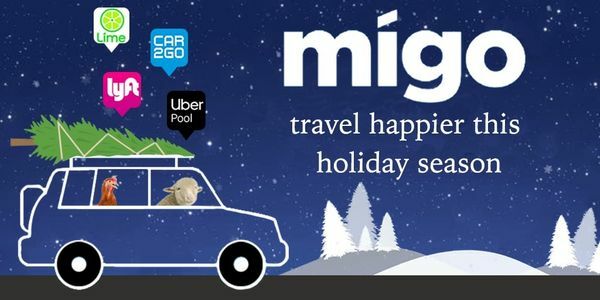 Ride Share, Carshare, Taxis, Bikes, We’ve Got You Covered in Detroit with Migo! There are 43 ways to get around Detroit, Michigan, and 28 of the best ways are available through an app! Choose between 7 carshare, 14 taxi, 10 rideshare, or 13 black car/limo companies. The best 3 ways to get from A to B in Detroit are on Migo. Whether you need the closest, cheapest, or fastest ride, Migo has all of them in one app. Scroll down to see all the different transportation apps available on iTunes or GooglePlay. Choose from one of the providers below to help you get around Detroit today. Don't miss the Saturday market, running from 6 AM to 4 PM, giving you plenty of time to leisurely explore all the crafts offered by local vendors. Keep an eye out for Batch Brewing, where they serve next-level pub food and local brews to quench your thirst. Head to the Campus Martius Park for ice skating and other events on the weekend! Looking for a night of fun and games? Head to Garden Bowl for a night of bowling and even some live music! Every Friday at 6 PM, you can take a free guided tour of the Detroit Art's collection! Visit Motown Museum to understand how Berry Gordy launched a new business that transformed the entire music industry. Check out the Detroit Performs! exhibition which details individuals who rose to fame in the performing arts. Pass the time before your flight at Cat Cora's Taproom with a boozy shake to get you ready for your trip! Read about what's new at Migo in Detroit.